Despite its lengthy release schedule (the first episode dropped last July! 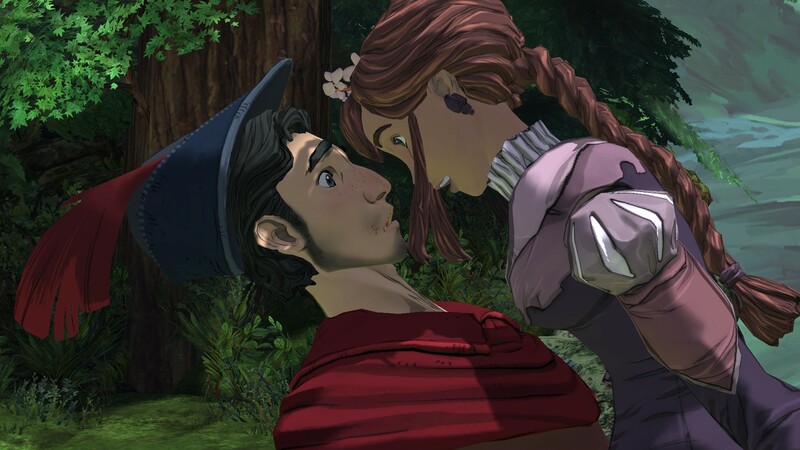 ), King's Quest has wormed its way into my heart. Sure, the second chapter was a slight drop-off from the first, but it still managed to maintain the pace and most importantly, keep me invested. The lengthy time between episodes really does bug me, but after experiencing Once Upon a Climb, my feelings of frustration melted away. MSRP: $9.99 per episode / $40 for the "Complete Collection"
After a brief intro, we get a sense of where we're at in the timeline. The first chapter dealt with Graham becoming king, the second was after he was freshly crowned, and the third, according to the narration, is "several years later." 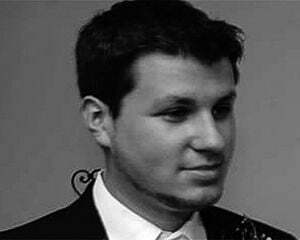 Graham recounts how he's trying to make the kingdom a better place, but he's also growing as a human being, and begins to notice things like his friends drifting away and starting families of their own. It skirts tones of depression and isolation and sprinkles in humor, to a large degree of success. All the while, there's a larger emphasis on the current timeline (read: where Graham is possibly on his death bed), and the overarching story involving Manny, who has meddled in our hero's affairs from the very start. This is all anchored by the consistently endearing musings of old Graham (voiced by Christopher Lloyd) as a semi-reliable narrator. One part in particular was interesting, where he recounts a situation that involves three screens, all of which instantly cut to different points in his life. The puzzle involves planting seeds that will later grow in certain locations -- with him misremembering certain items depending on which ones the player picks up and shuttles to new screens. It's a clever way to work in the narration conceit. But back to the core theme of loneliness -- much of the tale deals with the pair of maidens that may become the wife of Graham. They're a good match for the aloof king, from their vocal performances to their characterizations themselves. You get some shared and alone time with each, and even play a card game (Moral Quarrel) with them. It's one of many lovely little moments where you're able to actually connect with the characters on a more personal level, which is rare in recent adventure games. When it comes to pacing, it's somewhere in the middle of the first two episodes. The environments aren't quite as sprawling as the first chapter, but its puzzles are a lot less frustrating than the second. For those of you who didn't appreciate the stark changes made in Rubble Without a Cause, things are relatively back to normal. 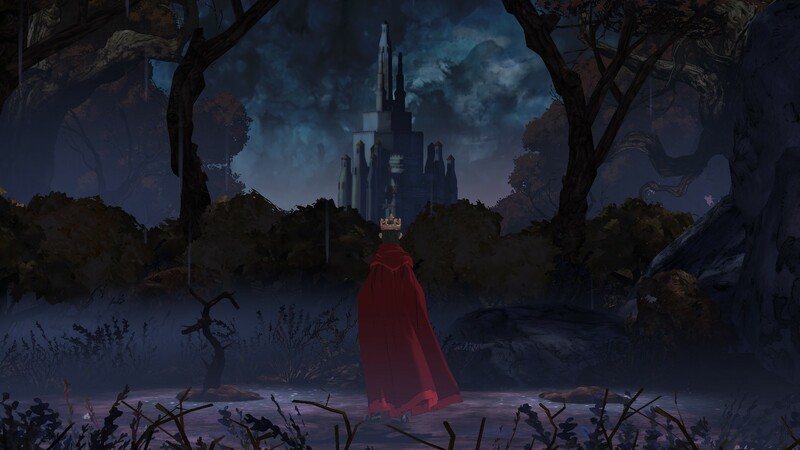 King’s Quest: Once Upon a Climb isn't the most enthralling tale I've played, but I'm still very much all-in on the series and was grinning throughout. It's a nice slice of life with a likable cast, and with the goodwill this reboot has gained so far, that's all I need.